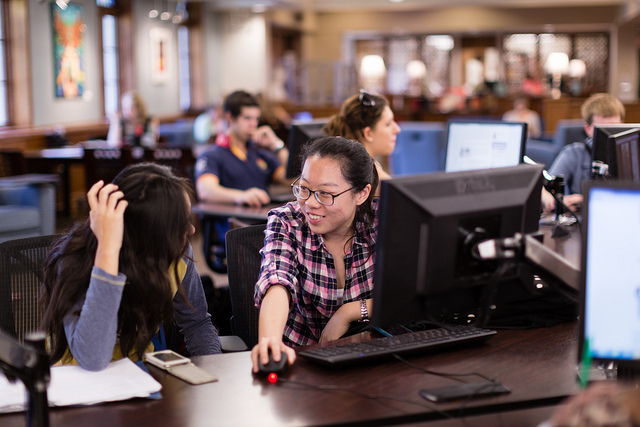 The Olin Library works closely with the Information Technology Department to support the Rollins community. 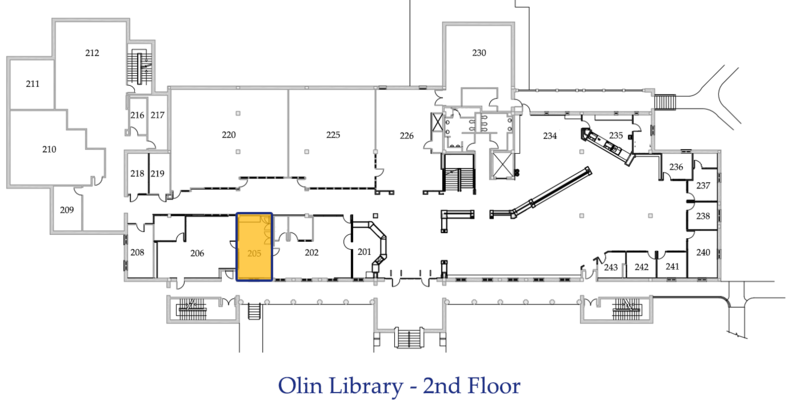 The IT Help Desk and Instructional Technology and Design staff are conveniently located on the 2nd floor of the library. You can find a list of several other useful IT systems and services below. 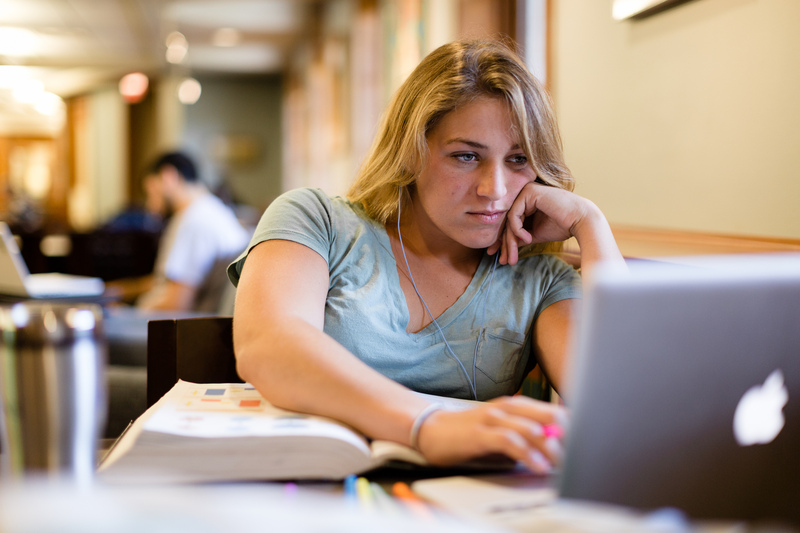 Blackboard is the learning management system for the Rollins community. Instructors can use Blackboard to create online course content for their classes, including discussion boards, embedded media, and other features. Questions about this system should be directed to the I.T. Help Desk. Instructional Design & Technology at Rollins College is a dynamic group of instructional technologists and assistant technologists who specialize in assisting faculty with designing courses that integrate technology, learning management system management, designing and facilitating professional development, and incorporating media into the classroom. Mediasite allows users to record lectures and presentations. Users can view these presentations online live or at their convenience. Kaltura MediaSpace is an online repository for Rollins media, including videos and images. Content includes class projects, instructional videos, and other content. MediaSpace also includes screen capture and video editing functions. In the Center for Creativity, we have a big collection of music from Music 2 Hues that can be used on multimedia projects (by Rollins students and faculty) royalty free. All printing on campus is done through the PaperCut FollowMe system. A user can submit a print job from any computer on campus and release the job from any printer by swiping his or her R-Card. Laptop users can print from their laptops by using Webprint. Jobs are released from the printer by swiping your R-Card. Please note that single-sided printing is not available via Webprint. Printing costs for Rollins Students and Community Members are $0.08 per page (single-sided, black and white print), $0.12 per page (double-sided, black and white print), $0.30 per page (single-sided, color print), $0.45 per page (double-sided, color print). If you are a current student and have a low or empty printing balance, you can log into Foxlink, select the Student Life tab, and select Add Print Pages. Printing privileges for students expire approximately one month after graduation. Rollins maintains an institutional survey account with Qualtrics to collect survey data and present the data in report format. Rollins’ Qualtrics account is open to faculty, students and staff for institutional use only. You can access the account by using your FoxID and passphrase. Rules and guidelines for Qualtrics are available here. IT's Instructional Design & Technology department operates the Rollins Social Server, which provides a space for Rollins blogs and wikis. These blogs and wikis are locally hosted and are based on WordPress and MediaWiki. R-Share is the Rollins file management system, administered by IT. This system includes MySite for personal file storage. WebEx is an online video conferencing tool. Faculty can use this link to set up an account and access WebEx and can find instructions here. Students have access to Spark and can find instructions here. This sheet contains answers to several frequently asked questions, including connecting to the internet, changing passwords, etc. 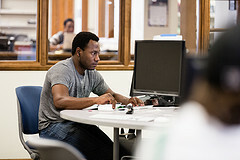 The Rollins IT Help Desk serves as the primary point of contact for all information technology related questions and problems. You can click here to change your password, reset it, or unlock your account. Passwords must be at least 16 characters in length, and you cannot reuse an old password until you've cycled through five password changes. Staff are required to change their password every 90 days, while faculty and students are required to change their password every 180 days. The initial login for new students is your FoxID, followed by your R-Number then the 8 digits of your birthdate. (e.g. Rxxxxxxxxxxx01011990). Guest logins for non-Rollins users are available from the Checkout and Reserves Desk.